Understanding some temporary inconveniences, we would like to continue to act in good faith for our members. That being said, we are going to move the Early Bird Discount to May 15th. In addition, the pool will extend availability during the week following Labor Day (9/3 - 9/6). The pool's opening day is still 5/25. We will be ready! 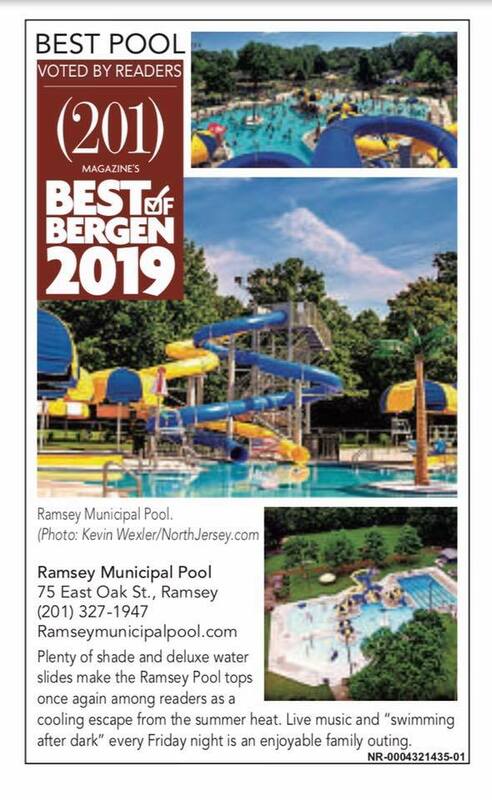 Ramsey Pool Won 201 Magazine's "Best in Bergen"
Thank you to those that voted! !